I absolutely adore discovering new brands and beautiful products from smaller companies. The bigger brands are great, but do dominate the high street sometimes, so it’s always refreshing to find fabulous products from independent retailers. If you’ve started your Christmas shopping (well done!) then you might like to consider this idea for a fabulous gift for a home décor lover. Today, I wanted to show you the designs of Bertie & Jack. 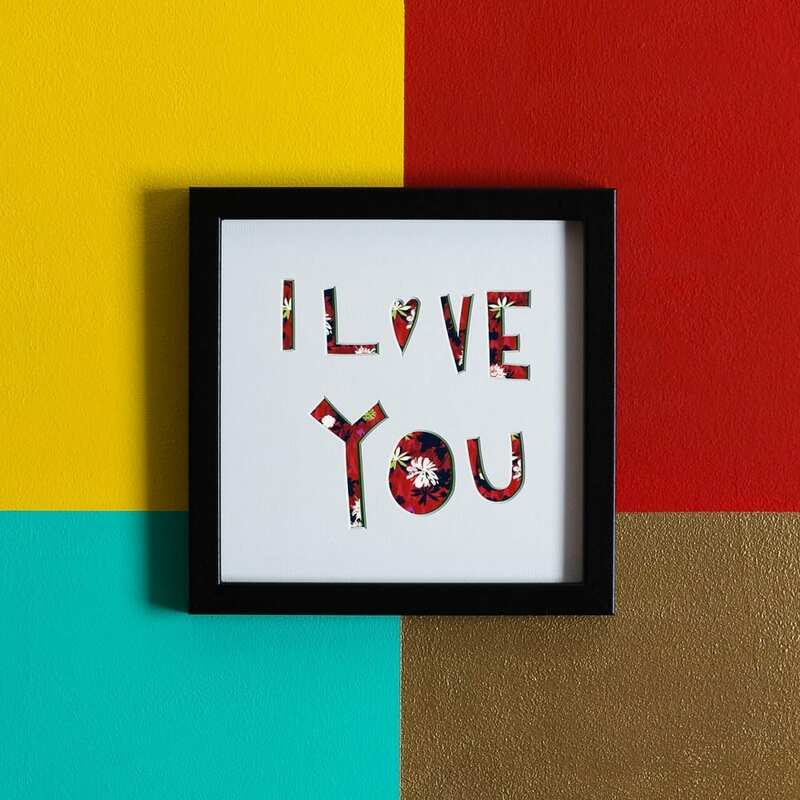 Bertie & Jack create cut-out wall art allowing you to create the perfect print for your walls. Each design is personalised by you on the website at the time of ordering. 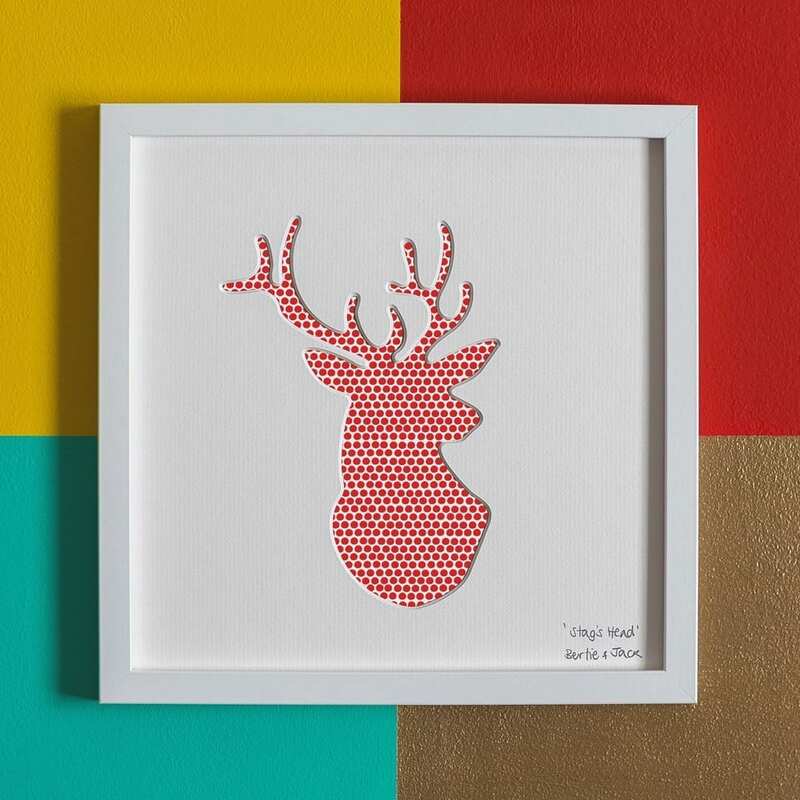 Choose your print and frame size in your favourite cut-out design, and then add the background swatch, or print. It’s a very clever way to create something bespoke for your room and décor. The variety of designs is plentiful, ranging from Treetops (think different types of birds) to Woodland (foxes, deer and bears) to Safari (giraffes, lions, hippos and more) to Magical and Typographic. There’s lots more in there, these are just a selection of my favourites, so do take a look. Once you’ve decided on the type of cut-out it’s then time to choose the background print or swatch. 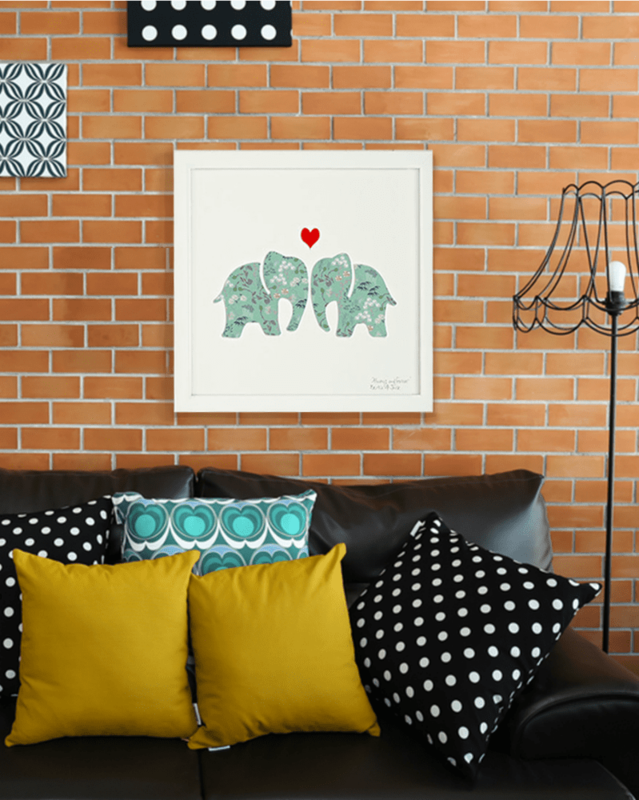 This is where you can really customise the art to suit your home and room décor. 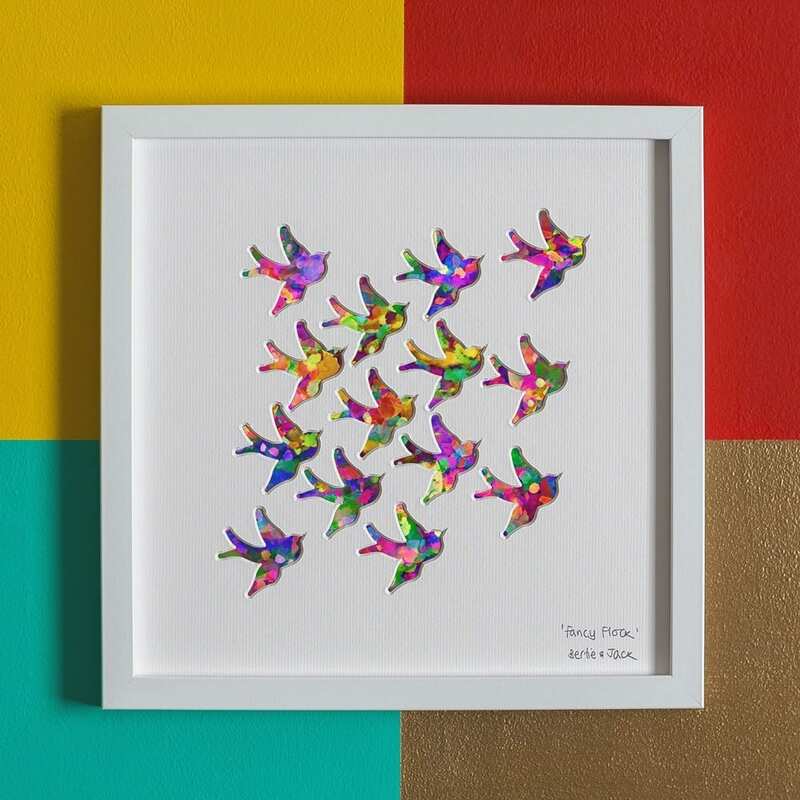 The prints are contemporary, colourful and on trend and come in a variety of patterns too. Check out the swatches collection in full, by viewing them here. You even have the choice to add a personal hand-written message in the bottom corner of the print too. Perfect for a new baby or anniversary. 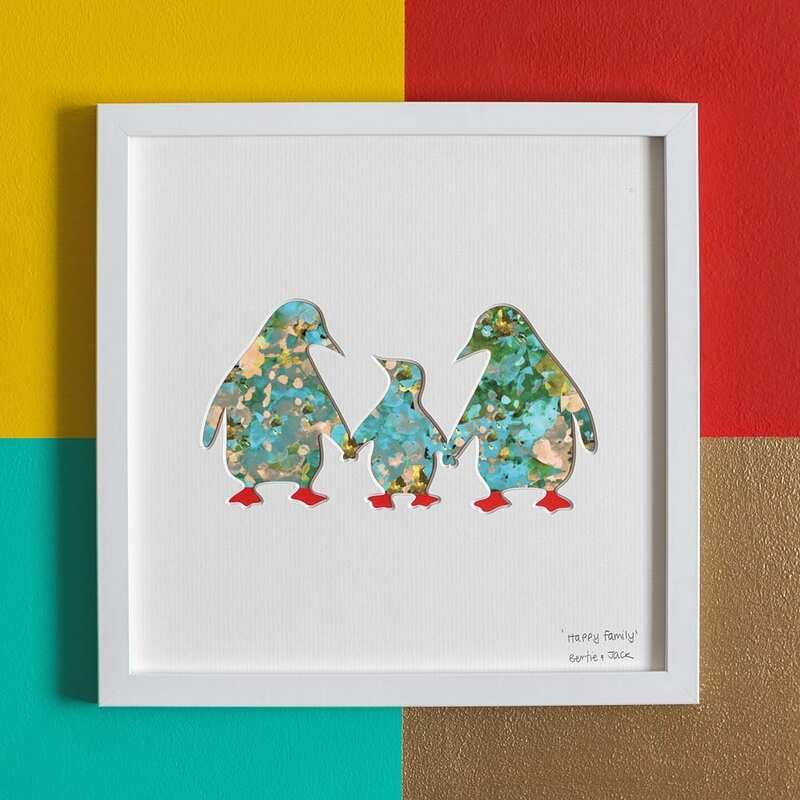 Bertie & Jack is run by two friends, Becky and Emma, who started the business after the arrival of their first children, Becky’s daughter Bertie and Emma’s son, Jack, back in 2010. Back then, they began selling their designs at market stalls in Bath, juggling motherhood with a new business, and taking it in turns to look after the children. Bertie & Jack is most definitely a family friendly business, employing other parents who work to fit in with their children, and Becky and Emma’s husbands who work full time in the company too. Are you loving it more now? Let’s check out a few more designs giving you some ideas on how to combine the art work with swatches. 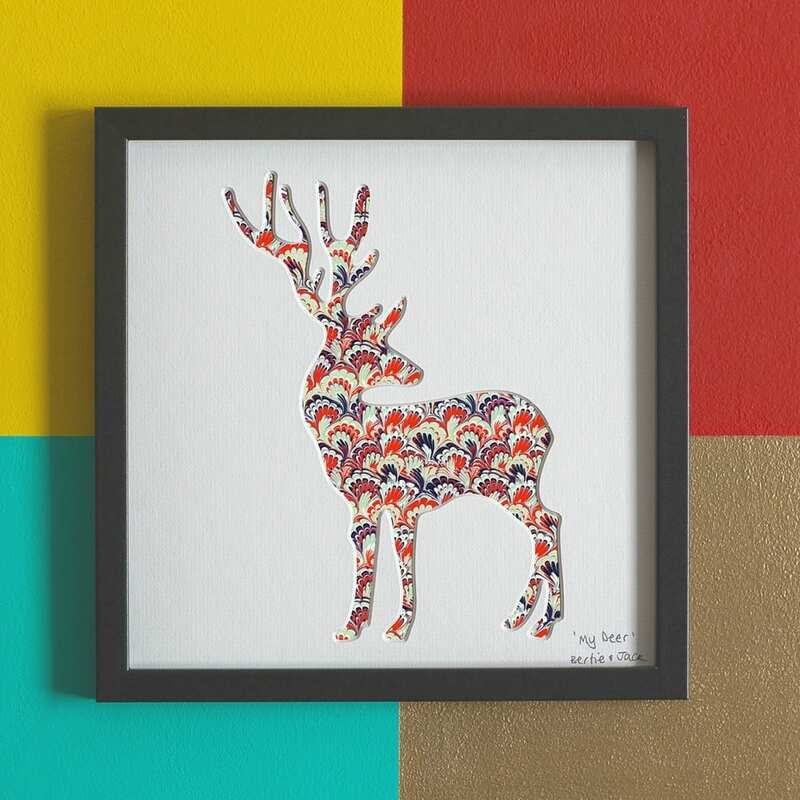 I’m totally lusting after one of these stags, and wouldn’t mind it in a Blanket Tweed swatch, I think that would look great fun and perfect for an on-trend contemporary room. With regards to costs, small prints unframed (25×25 cms) start at £17.50. Add on a frame and the price is £45. Pretty good value for a personalised home accessory I think, and I haven’t seen this kind of product too often on the internet either. If you want something a little bigger, the extra large 50×50 print comes unframed at £55, just brilliant. Do take a look at Bertie & Jack and support the smaller business when you are next shopping.